news The Australian division of IT services company Gen-i Australia this morning revealed it would cut its staff numbers from 180 to 60 and stop competing for most contracts on the market as it focuses only on Trans-Tasman contracts as per the instructions of its parent Telecom New Zealand. In a statement issued this morning, Telecom NZ said it had undertaken a “strategic review” of the Australian operations of its ICT services unit, Gen-i. “Gen-i Australia will now concentrate on supporting large corporate customers (based either in New Zealand or Australia) with specific trans-Tasman ICT services requirements. It will be exiting from other customer activities which fall outside this refined business focus,” the telco said. “We believe the time is right to return to Gen-i Australia’s core purpose and renew our focus on trans-Tasman ICT services – an area where we have a strong track record of success, proven capabilities, an excellent roster of corporate customers, and the necessary scale to compete effectively. It’s not the first time that Telecom New Zealand has forced an Australian subsidiary to fit into its Trans-Tasman mold. The company’s other major Australian subsidiary, AAPT, has suffered greatly over the years in the Australian market and eventually sold off its retail consumer business to iiNet several years ago as its divided focus between Australia and New Zealand (as with Gen-i, Telecom New Zealand wanted AAPT to focus on trans-Tasman corporate clients) appeared to hamstrung its ability to compete in the Australian market. It’s also not the first time that a major telco in the Australian market has struggled with successfully operating an IT services-focused subsidiary. Telstra also struggled with its KAZ division for several years before selling the company off to Japanese IT services giant Fujitsu, and Optus appears to have largely merged its Alphawest subsidiary into its business division. What a joke. For most of a decade now, Telecom New Zealand has not been able to make up its mind whether it actually wants to compete in the Australian market or not. Every time the telco has set up operations in Australia or bought an Australian company, it has eventually screwed it up. And not because the companies Telecom has operated in Australia have been bad businesses or operating in markets which they weren’t able to compete in. No. The sheer fact of the matter is that both AAPT and Gen-i probably would have been successful in Australia if Telecom had given them a chunk of investment money (which Telecom can certainly afford) and left them to their own devices. Gen-i had the advantages of its lower cost New Zealand operations to draw upon, which would have helped make it competitive in the Australian market. And AAPT has substantial fibre infrastructure assets and a long history in the Australian telecommunications sector. Instead … in both cases it appears as though it was Telecom’s meddling and failure to understand the Australian market which has let both companies down. Fantastic. It’s also worth noting that Miles, quoted in Telecom’s media release, has only been Gen-i’s chief executive since December 2012. 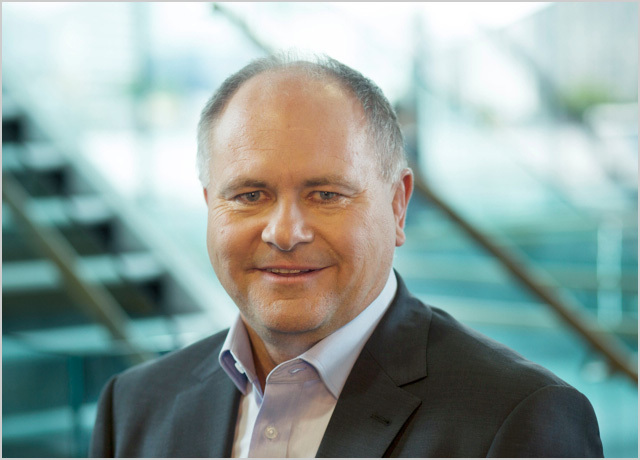 He’s a former IBM and Unisys New Zealand executive (including MD as Unisys in New Zealand) and has also been chief executive of Vodafone New Zealand, Vodafone UK and chief technology officer of Vodafone Group globally. So what did Miles do? Step on board as Gen-i chief executive in December, and then take barely two months to decide to sack most of the company’s Australian staff? Sounds a bit mercenary. Oh, well. It’s not as if Gen-i had a huge presence in Australia anyway. But I bet the folks at IBM, Fujitsu, CSC, Unisys, HP and others will be dancing on the company’s Australian grave this morning. Less competition is good for such established players. Im not surprised by this at all, every company I know of that has used Gen-I for services has had a poor experience – Im amazed they haven’t gone bust completely! Word from an insider was that there were serious problems with management inside Gen-i. Very much a Kiwi vs Aussie culture too. Not too surprised about this. Shame though, they had some great people working for them. I bet none of the problematic managers are leaving. Sad, sad day :o( Gen-i Australia always had the heart, soul and the people to really make a difference but never had the backing or support from Telecom Exec’s. A lot of really good people will be affected by this. Surprise surprise, couldn’t see this one coming!! NOT! This was bound to happen. The management there at Gen-i headquarters at World Square Sydney only care about socialising. If you can stay out late drinking at the pub downstairs, or run a marathon then consider yourself promoted. All the managers there are self centred and like David said above, it is all about Aus vs Kiwi. Thank god i left that place. Much happier now….i hope they suffer miserably, that’s all they deserve! To be honest, I agree with Guess Who with most points. I found the business was more caught up with Thursday/Friday shenanigans than providing professional services to their customers. Then on Monday, gossiping about what happened the previous Thursday/Friday. With most of the team an expat-kiwi contingent, I found it was more the attitude of “we’re on holiday, let’s party” than a Kiwi vs Aussie hurdle. On the flip side, there were/are some very good people in Gen-i Australia, and I hope they move onto bright and promising careers elsewhere.